I just launched my “Patreon” page where you can become my “Patron” and be a part of my Art and Music! Please visit my Patreon Page and become a Patron today! This artwork is for sale, please contact me if you’re interested in purchase. Thanks to Siavash Nejhad for his effort. 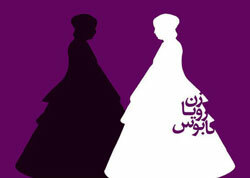 Farzad Golpayegani has composed music for an Audiobook by “Kourosh Beigpour”. This audiobook which is narrated by the author is released by H&S Media. As you may know, other than Farzad’s personal albums he compose music for short movie, animation, advertisement, video game, etc. Contact us if you need music for your project. 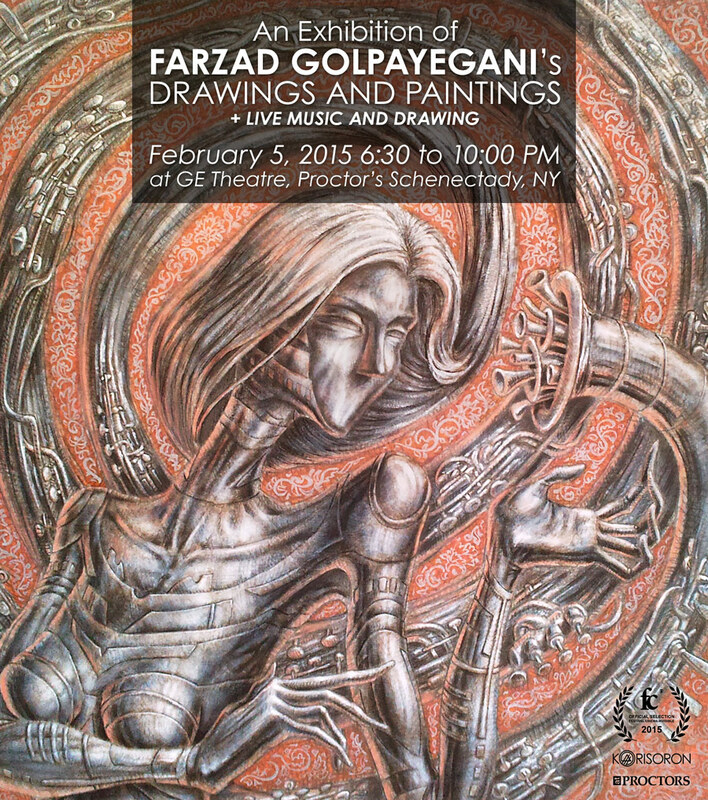 Farzad Golpayegani exhibits his paintings and performs music at “Marvel” by “RAW natural born artists”. RAW events are multi-faceted artistic showcases. Each event features a film screening, musical performance, fashion show, art gallery, performance art and a featured hairstylist and makeup artist. These artists are all local, hand-picked talent who have been chosen to feature at RAW. To respond the event on facebook please click here. 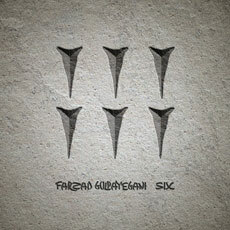 Album “Six” (May 2012) by Farzad Golpayegani, Persian composer, musician and visual arts artist is based on the soundtracks he has composed for video games “Quest of Persia: Nader’s Blade” and “Garshasp”. Tracks of this album include reworked pieces for Intro, Themes, Trailer and Credits of the games. All electric guitar solo parts (instead track “94”) are added in album version. 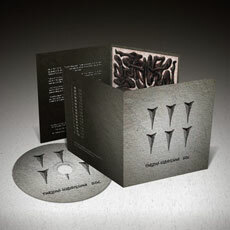 The album includes 16 tracks with Orchestral Metal theme. Tracks of this album: “85”, “86”, “87”, “88”, “89”, “90”, “91”, “92”, “93”, “94”, “95”, “96”, “97”, “98”, “99” and “100”. Album is available at Store page and Farzad’s store at Reverbnation, as well as: iTunes, Amazon, CD Baby, and other digital stores. Farzad is an independent artist and he’s not signed to any record label, so please support and only buy the records officially. Farzad Golpayegani composed music for “Woman, Dream, Nightmare” performance by Soroosh Milanizadeh in Mohsen Art Gallery in Tehran/Iran. Performance, or “Moving Frames” as it is called by Milanizadeh, was performed starring Baran Kosari, Negar Javaherian and Mona Shah. Find reportage of the performance at this link. The second album of Farzad (Two) was going to be released by Bam Ahang Co. in May 2005 (only in Iran) but its license interned by relative ministry and it’s releasing from August 2006. This album includes 11 tracks. 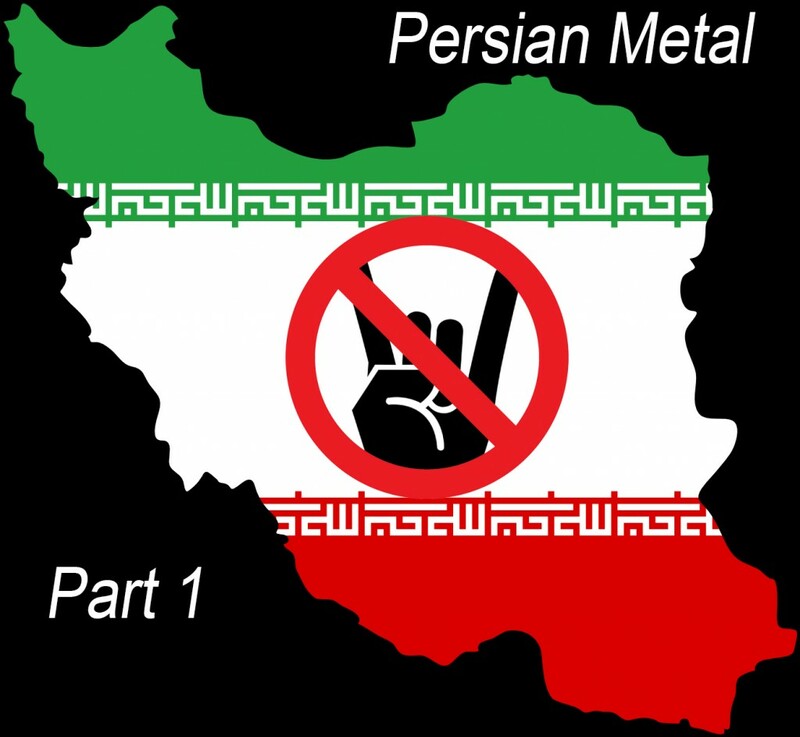 Like the previous one, this album is an Instrumental Fusion-Metal and it’s is totally done by Farzad, and in two tracks “Kaveh Hamedanian” has played Cello. Because the delay of releasing previous album , “Two” has been produced between 2004 and 2005. This album is officially Free to download as MP3 files. To purchase Physical CD please visit Store page or Farzad’s store at Reverbnation.